Employer's note: Employees may work remotely 1-2 days per week. Brickschain is creating the technology to break down the data silos entrenched in construction, infrastructure, and real estate. We are giving society better tools to improve how, why, for whom we build. Our clients are among the largest builders in the world; they’ve built the infrastructure you drive on, they’ve designed the cities you live in, and they are hungry for better and smarter data. To solve these problems, we are looking for a Lightning and Salesforce.com Engineer to design, develop, maintain, enhance, test and implement solutions on the Force.com Platform to meet business needs. This engineer is self-directed and responsible for all aspects of the agile development process for medium to large complex projects. Generate design and development plans that deliver elegant solutions for the business. Administer, customize and configure Salesforce features including, but not limited to Security, Profiles, Role Hierarchy, Users, Page Layouts, Record Types, Workflows, Reports and Dashboards, Approvals, Object Relationships, Fields, Validation rules, Custom apps, etc. 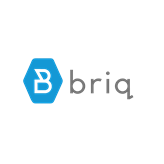 Want to get notified about new jobs at Briq?